Reprinted with permission from Taste for Life Magazine. Combine lemon juice, soy sauce, ginger, honey, and salt and pepper to taste in a small bowl. Place salmon steaks in a single layer in a shallow pan. Pour marinade over and let marinate in the fridge for one hour. Lightly coat the bottom of a frying pan with a small amount of oil. Heat pan to hot. Add salmon steaks and cook each side for 3 to 4 minutes, or until golden brown and center of fish is opaque and flakes easily with a fork. 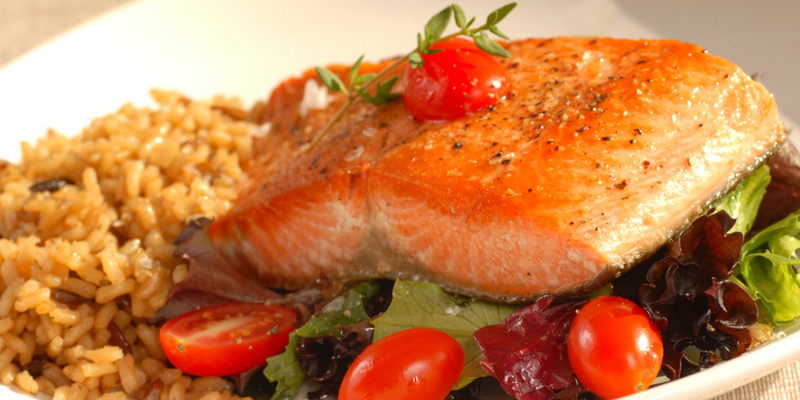 Serve salmon steaks over greens. Garnish each serving with a lemon slice and dill sprig, if desired.